For young scientists, astronomy is one of the most fascinating subjects your child can learn today. In the current market, there’s everything from children’s songs about our heavenly bodies, models of the solar systems, nightlights that turn your child’s room into a planetarium and stories about the sun, moon and the stars. It’s easy to see why children can be easily captivated by all things outer space-related. Maybe it’s because stars and planets spur the imaginations of and sense of awe in children. There’s no better way to introduce your child astronomy than by getting them their very own telescope. 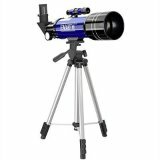 Your young space enthusiast will love one of the scopes on our list below which includes a wide range of products available at a variety of price points. Look out! Our brand new format makes it incredibly easy to compare the best telescopes for kids side by side, with editorial and user ratings to help you make your decision. This page was recently updated to include a number of new telescopes that will expand your child's horizons--to the heavens! In addition to adding new products, we also reviewed all existing product information such as features, apertures, magnification, construction, cost and availability, to ensure that all is accurate and up to date. Not suitable for anyone under the age of 8, might need assistance. 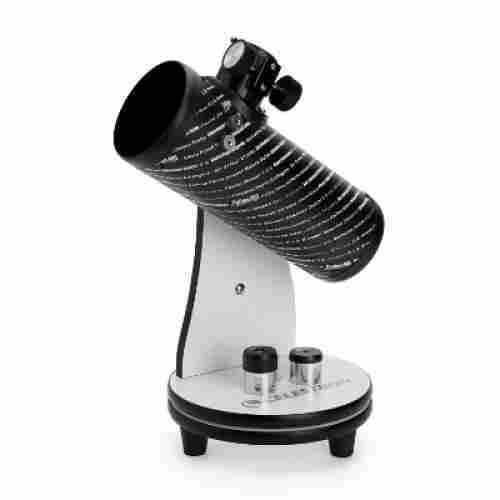 We love this product because it is perfect for young astronomers. Being able to look at the stars and the moon helps your child have fun while learning. 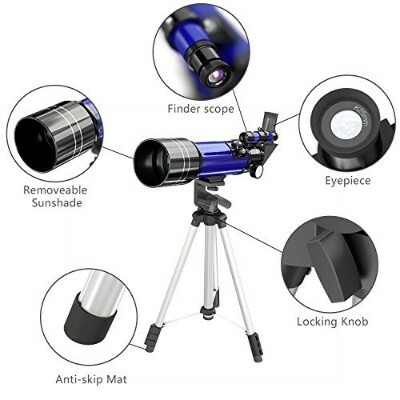 Not only is this telescope easy to assemble and kid-friendly, but it also has multiple different positions your child can adjust and focus on whatever catches their eye in the night sky. 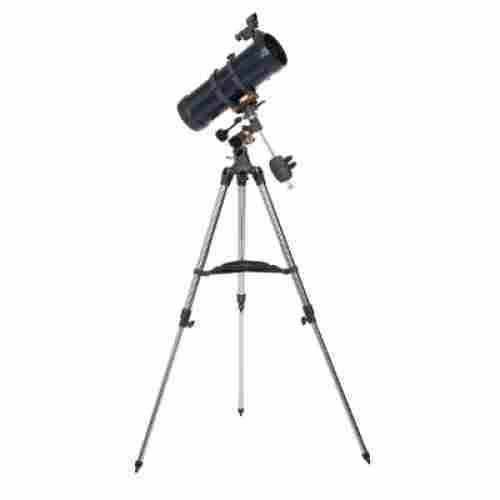 It is the perfect telescope for a beginner who’s eager to take a look at all the wonders of the universe. This telescope comes with a 24-month warranty. It is the perfect gift for any child who has a love for astronomy and is ready to get a closer look at the stars or even some planets. It comes with an adjustable height so your child will be able to adjust it to whatever feature makes them comfortable. 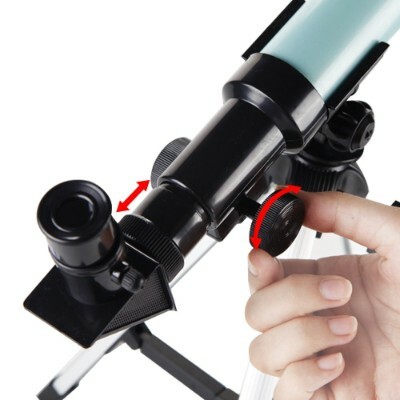 Using this telescope, your child will be able to locate any object in the sky that catches their interest. The Emarth telescope is perfect for your young scientist at home. With a magnification of 360mm and 70mm your child will be able to see crystal-clear images of the stars. We love this product because not only is it interactive but it’s also the perfect toy for a young child who loves animals and anything that has to do with space. It teaches them about the universe and the ecosystems around them and even comes with facts from NASA. This fun play telescope is perfect for your little one who wants to hang out and look at the stars with their older siblings. It comes with images from NASA and over 200 facts that your child will be able to listen to, not just space but animals as well. It does have an interactive quiz mode so your children will be able to test their knowledge as well as having fun! It also comes with a save feature, so your child won’t even lose their place if they get distracted by something else while exploring! 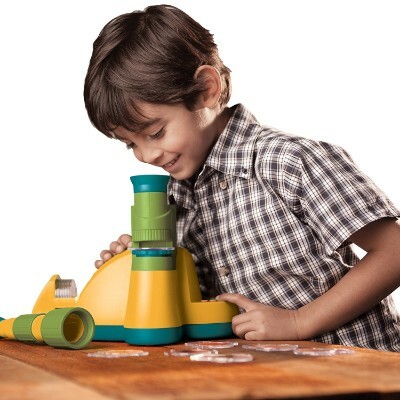 This fun play telescope is perfect for anyone over the age of 3. It instills in them at a young age the love for not just the world but space as well. It comes with fun facts that teach them about animals and space to help keep your child interested as well as learning. 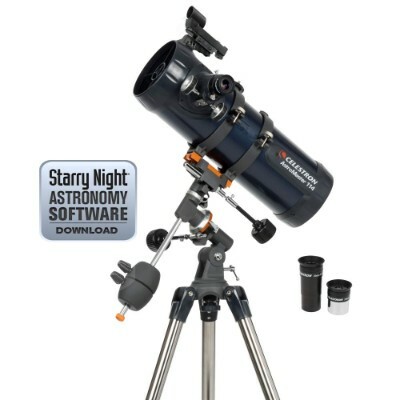 The highly detailed images and ease of use of this telescope are sure to foster a love of astronomy in your child. While this telescope is rather large in size, the carrying handle makes it easy to transport from place to place. The eight-inch diameter reflector will provide the viewer with close up and detailed images of the moon and other planets. The reflector has the ability to pull in enough light to allow the whole family to view star clusters, nebulas, and even galaxies. 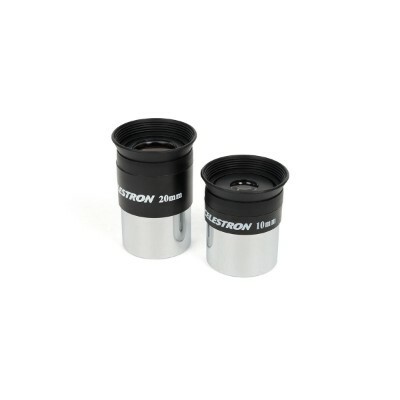 A 25mm Sirius Plossl eyepiece and an EZ Finder II reflex sight piece are included in the set. With the Orion 8945 SkyQuest XT8 Classic Dobsonian Telescope, your child can experience jaw-dropping views of outer space. The telescope is easy to use and perfect for beginners. The Dobsonian base provides the viewer with a high level of stability that will keep the telescope perfectly balanced while viewing. 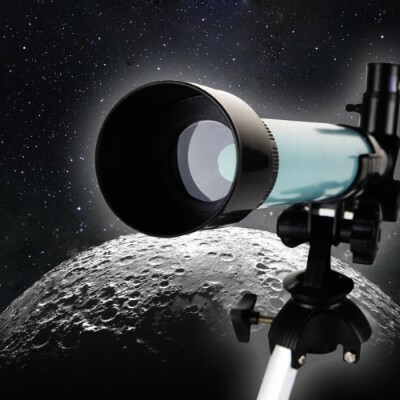 This telescope is easy to set up so you can spend more time viewing the night sky and less time fumbling with parts and building instructions. Equipped with a right angle optical finder, your little one can zero in on objects easily. The base is designed with carrying handle which makes transporting this scope to the perfect viewing spot stress-free. The Celestron 31042 AstroMaster Reflector will allow your child to begin viewing outer space almost immediately after opening. No tools are required which makes set up quick and easy. 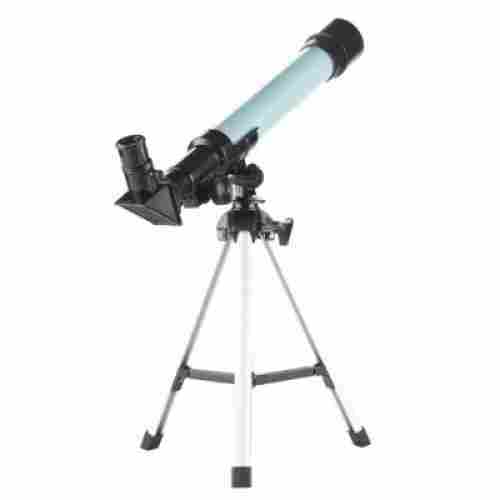 This telescope is equipped with a German equatorial mount that allows your child to accurately locate and track objects in the sky. The telescope comes with a pre-assembled tripod that provides your child with more stability when viewing. 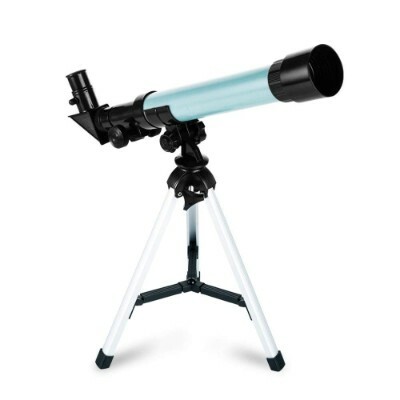 This dual-purpose telescope allows your child to take in terrestrial and celestial views. With such bright and clear imagining, your child will clearly be able to see every single one of Jupiter’s moons. The tripod is a nice addition as it provides stability. The telescope’s tube is made of a sturdy metal that will allow your child to spend their nights looking up at the sky for years to come. Aside from the sleek look of this telescope, the fact that it stands up to more expensive and complex telescopes like it is truly impressive. This scope works great for beginners just learning about the night sky while still giving them the feel of an expensive high-end star-viewing device. For astronomy newcomers who haven’t had experience with worlds that exist far beyond ours, the Celestron Astromaster Refractor Telescope is the perfect first telescope for you. 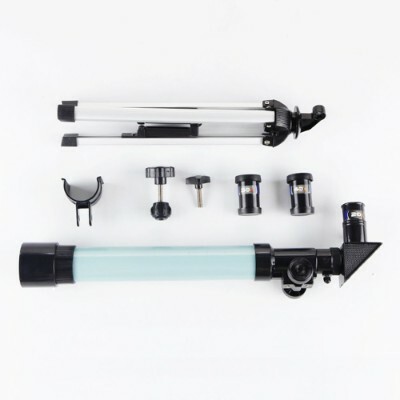 There’s minimal building involved because the telescope tripod, mount, and optical tube come preassembled with no need for tinkering with tools and stubborn screws. What makes this telescope so great for kids is its ability to not only scope out the night sky but also zoom in and focus on far viewpoints with no issue bringing them into focus. The optical tube length measures 34 inches while the lens is 2.6 inches, making it ideal for sweeping the sky but also honing in on planets such as Saturn or Jupiter. Sky viewing is daunting for the beginner and many people may not know where to start. This is an excellent choice for kids just starting out with their night sky adventures because the telescope is easy to use while still powerful enough to show them a world outside of their own. 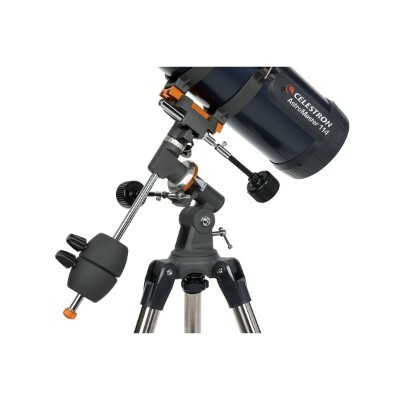 The Celestron AstroMaster makes controlling your view simple with the use of a panhandle with a simple to use clutch, which will make viewing the night sky super easy for your child. Fewer controls mean simpler sky-steering! If you’re looking for a fun activity for you and your child, the software included with this telescope may be just the thing to create a new Friday night family activity. The software included allows you and your child to mark star charts together with the exact date, time, and location of your star findings so that your memories are in print for years to come. To make star and planet discovery even easier, this telescope can be used in conjunction with the SkyPortal app for iOS and Android to pinpoint exact locations for the stars you seek -- just download the free app and point your phone to the sky! This telescope has so many unique features rolled into one to create the perfect telescope for an entire family. 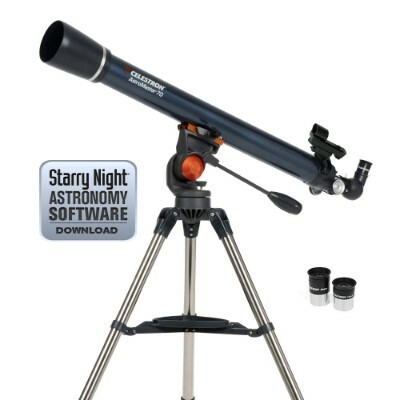 It caters to both beginners, intermediates, and advanced astronomy lovers which makes it a great purchase for the price. Where do we even start with a telescope like this? Being able to track objects is a tremendous feature of this telescope, but having the option to find them on Starry Night will only increase your family’s interest and provide an educational aspect that you won’t get with many others. If your entire family is fascinated with space and the study of it, then the Orion SpaceProbe is a must-have for your next sky viewing. This telescope is the epitome of family-friendly and comes with anything and everything you could possibly need for your first reflector telescope, including 10mm and 25mm eyepieces for various magnification, a finderscope for easier planet and star discovery, Starry Night SE software so you and your family can plan out your nightly star searches and learn more about what you’re seeing through the lens, mount, and an adjustable tripod for better directional adjustments. 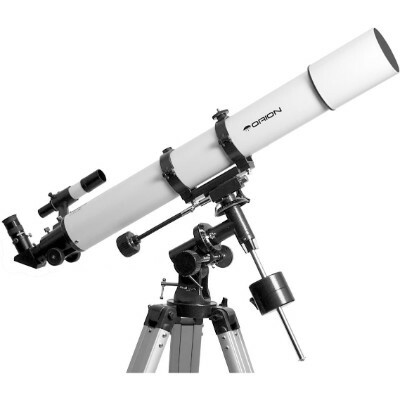 For the price, this telescope is one of the best and boasts Orion’s superior technology so that you and your entire family can see far away galaxies, nebulas, and other planets without losing even the most minute of details. What makes this reflector telescope stand out is the easily adjusting tripod, which allows your family to track moving objects in real time as they travel across the sky. 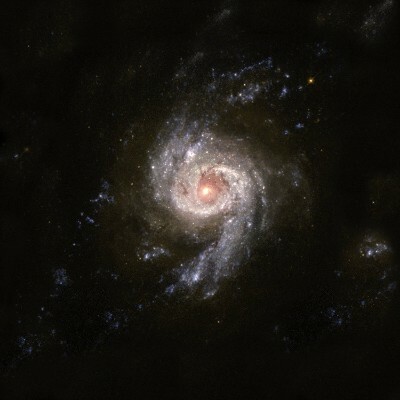 The accompanying software helps to explain what you’re seeing in-depth to turn an average space viewing into an educational experience that will both leave your family in awe as well as add to their growing astronomy knowledge. The additional features are what make this telescope one that will be in your family for years to come. A little magnification is all that stands between your child and the rings of Saturn, and that’s a view that’s truly priceless. Inspiration is something the Celestron FirstScope excels in. With all the names of past astronomers emblazoned on the telescope tube and the Galileo-inspired design, your child will be motivated by discovery. 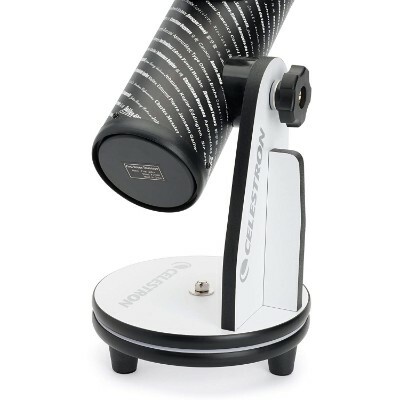 This cool-looking tabletop telescope was inspired by the astronomy master himself, Galileo Galilei. 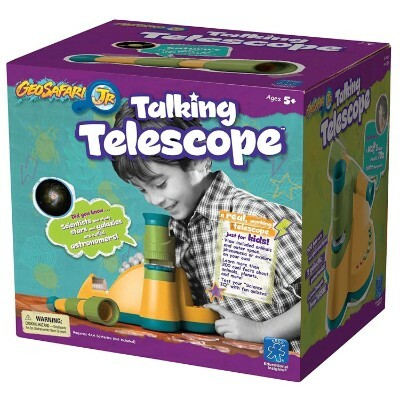 If you have a child who is a lover of both astronomy and science, this telescope will quickly be their new favorite gift! 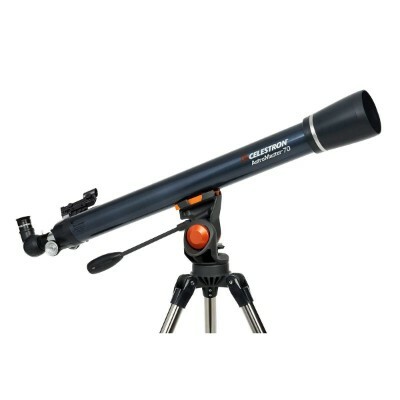 Just by a glance at the Celestron FirstScope, you can tell that it’s no ordinary telescope. The size makes it ideal for travel whether on vacation in the country or on a road trip to somewhere with a great viewing platform. Let the FirstScope inspire your future vacation trips as you read the exterior lettering that displays all the names of the most notable astronomers in history. 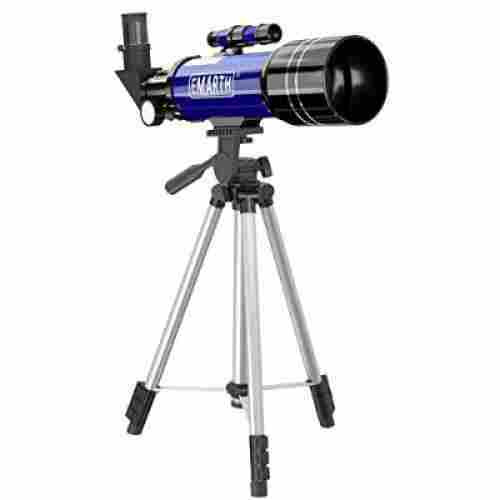 This sky viewing reflector scope is one of a kind and unique in nature with its revolving turntable for easy direction adjustment and optional accessory kit with an additional finderscope for even more detailed discoveries. 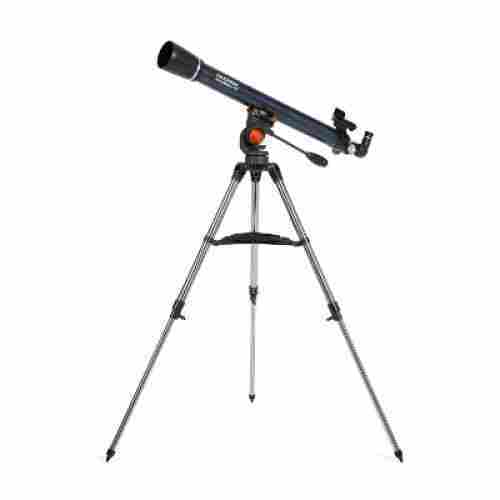 This telescope is lightweight and great for virtually any age since it’s so easy to transport and use, just swivel, point, and view. 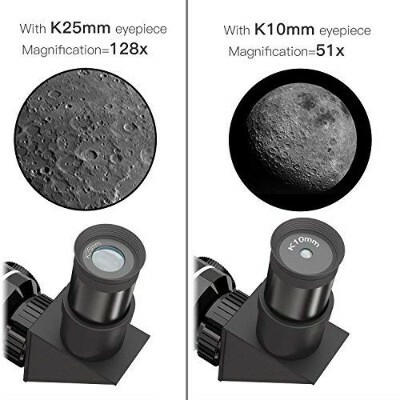 For older kids who have a more developed passion for astronomy, two additional eyepieces can be used that allow a total magnification up to 75x. Any kid will be thrilled to have this displayed on their desk or set up in their window, ready to show all of their friends the stunning features of Orion or the rings of Saturn up close. It’s great for all ages and will be a telescope they’ll use for years as they experiment more with the different attachments and magnification abilities. Perhaps one day they’ll even have their names printed on a telescope tube as well! The educational benefits of the Talking Telescope is more than welcome as kids now will have a more fun way to learn about outer space and some of the animals that we often view using scopes. As a whole, the Orion telescope range is great for anyone who wants to get their family involved in star viewing without breaking the bank. 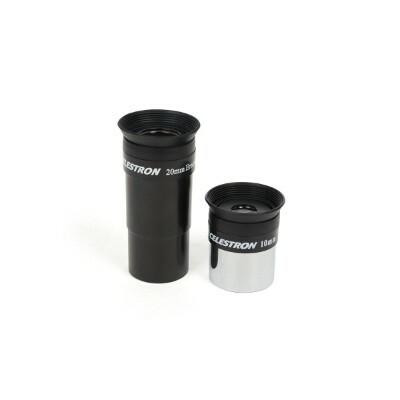 The AstroView, in particular, is a great classic reflector telescope that does everything you’d expect a telescope to do, with a compact design and a striking exterior look. This telescope does need to be assembled but it’ll be well worth it! 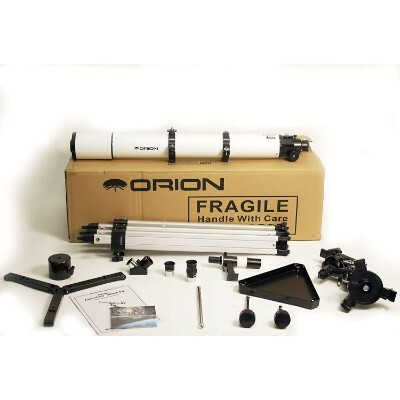 Also included in the telescope kit is an EQ-2 adjustable tripod a equatorial mount for the same easy slow-motion tracking Orion is known for, two Sirius Plossl eyepieces for various magnification and detail, a equally easy-to-use finderscope, a rack and pinion focuser for even more detailed views, 90-degree mirror, and Starry Night software to find and learn about everything your family is seeing. If you like to take your kids on daytime adventures then this would be the scope for your family. Check out terrestrials in the daylight if you'd like to. The eyepieces have been upgraded to 25mm and 10mm in order to optimize all of the galaxies and nebulas you can see from your very own home, and this telescope can be upgraded with a correct-image diagonal for prime daytime terrestrial viewing as well. That makes this telescope an amazing option for families who are just beginning to peak in interest about the solar system, as well as kids who may have an advanced knowledge of what lies beyond us and want a strong, easy-to-use telescope. The classic look of this make it a focal point for any bedroom and it’ll definitely provide something worth talking about! We love this product because not only does this do-it-yourself telescope teach your child how to follow instructions, but it also helps gain them a little independence. It’s perfect for the young astronomer so they can learn about the inner-workings of a telescope and then they can use it to look at the night sky. 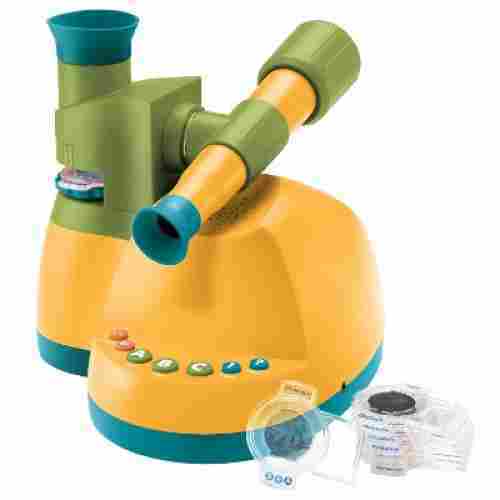 This telescope helps encourages hand-eye coordination and fine-motor skills. It includes easy-to-follow instructions that help teach your child the inner-workings of a telescope. The instructions also include viewing guidelines so they get the most benefit from the telescope. Their peek into the heavens will inspire awe and because this telescope allows them to do it all on their own without any assistance, it is a great self-confidence builder. If your child is a space enthusiast, what better way to encourage that love then by giving them the ability to build their own telescope with this do-it-yourself kit? This DIY telescope comes with its own easy manual for your child to follow. It also features adjustable lenses and it’s perfect for your child to look at stars or even the moon! 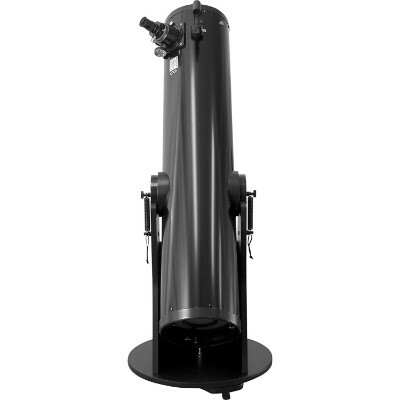 While a tabletop structure can often be limiting for a telescope, that’s not the case with the Orion StarBlast. It allows viewers to track moving objects manually in slow motion which makes it a great addition to comet tracking and meteor showers. 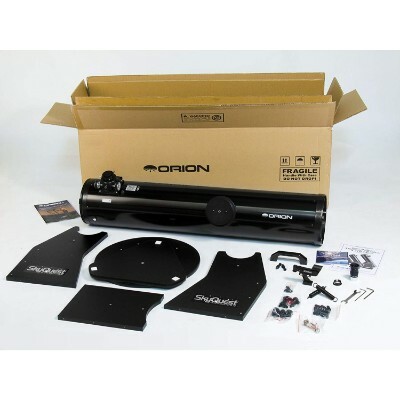 If assembly isn’t your thing but you and your family still want to reap the rewards of owning an Orion telescope, then the StarBlast may be more your speed. It comes fully assembled with minimal adjustments required and is great for beginners and intermediates alike. You’ll have all the benefits and quality that go into Orion’s other well-known telescopes with all the ease that comes with a lower-end product. Astronomy enthusiasts will still get a 4.5 inch aperture that allows ample light to come in through the lens for detailed viewing, as well as a tabletop stand that will give viewers the option to track objects manually in slow motion. Kids want to see things from every angle when they’re learning about the planets and stars with other kids. The altazimuth rotation makes it easy for kids to maneuver. The StarBlast comes with two eyepieces, a 17mm and 6mm, which will give full range to stunning views of the moon and other wide-field celestial sights. 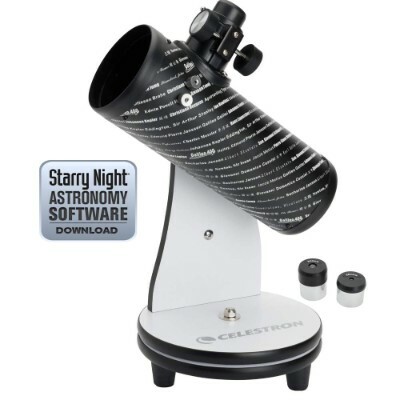 Starry Night software is also included so although the cost and size are different, your family will still have the same educational benefits as with any other Orion telescope. Whether you use it indoors or outdoors, this telescope is sure to have you naming off nebulas in no time. Our basic research could begin with Vincent Van Gogh’s painting of The Starry Night! It’s the age-old imagination that creates a kaleidoscopic curiosity that leads to wonder and awe the first time we look at the night sky and understand that we’re not alone! Perhaps it is that luminescent full moon one night; or that meteor shower on a clear night while out camping. As a parent, the child’s education can begin with your own! Being up on identifying the stars from a naked eye perspective in the beginning can lead to a telescope. Later, buy some books, watch some astronomy and science shows! Dip your toe in the water! It is shown that this structured beginning, guided to and through, a tangible investment like a telescope can bring more focus to a child’s life and lower the likelihood of them developing ADHD symptoms. This opens up the imagination and leaves less room for outer electronic influences conversely. STEM and mathematical conclusions can be come to more easily through observational awareness and a playful, concentrated, effort! The beauty of this product is that it already works with what we tend to be naturally equipped with, an innate curiosity about our immediate environment and beyond! We live in a highly technical world! Every owner of any kind of Apple product, or even outdated desktop, is in some way an amateur engineer, IT expert, and quantum physicist! It’s all unavoidable! A few of these products market themselves as a possible gateway to STEM fields and careers. It’s a nudge, and nevertheless, it’s contributing to the socialization factor of our current generation. What better way than starting with the stars and celestial bodies. It’s guaranteed to be a gateway to something, career-wise or not! We made sure that the toy telescopes are appropriate for the developmental age of kids. Different features were carefully evaluated and then analyzed as to what developmental benefits the toy can provide. The safety and quality construction of the product were also examined and correlated with the trustworthiness of the company that made it. As for the kiddie telescopes, there were three things that we had to look for: the quality of the optics, the stability of the platform, and the diameter of the telescope’s aperture. 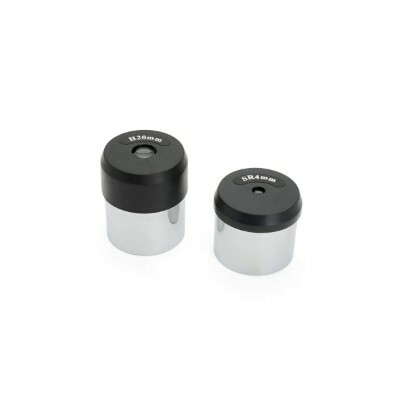 These three are very important in any type of telescope as they do allow for a more superb experience. Unfortunately, we had to compromise a bit as high-quality optics can easily translate to thousands of dollars. The same is true with the aperture. The greater the aperture, the more expensive it is. And since we’re only talking about beginners’ telescopes, then something that’s affordable yet functional should be the main focus of our search. And that’s exactly what we did. True telescopes can range between $100 and $5,000. Before you head out to your favorite retailer, ask yourself how much you’re prepared to shell out. Know that telescopes are excellent pieces of engineering ingenuity. The more sophisticated the construction, the greater is the telescoping experience. Unfortunately, it’s also pricier. So, you need to strike a balance between what’s functionally acceptable and what’s economically feasible. To help you with this, you’ll need to understand aperture, optics, and the mount. A good starting point is to choose an aperture of at least 70mm for superb astronomical observations. Also, don’t buy into the magnification bandwagon. A good rule of thumb to follow is to always get a telescope with a maximum magnification that is no more than twice its diameter in millimeters. For instance, if you have a 70mm aperture, the maximum power you must look for is 140x. Any value greater than this can lead to fuzzy viewings. Although some of these telescopes utilize plastic in their construction, it is usually of the highest quality and helps make these telescopes light and portable. It is often the tripod that tends to break first, which is something that is usually quick and easy to fix. 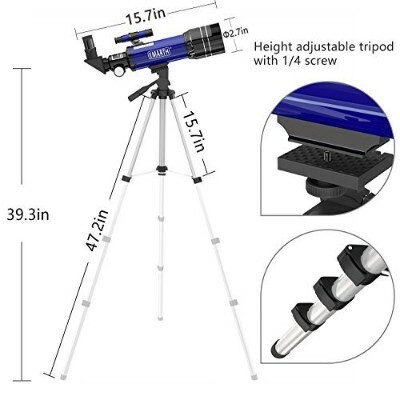 A new metal tripod can be easily purchased locally or online for around $20–much less than the cost of the initial investment in the telescope itself! This can be a particular consideration if the child retains an interest, but is still too young for an upgrade. One note of caution might be to be extra careful when handling the product. We were not quite sure how to approach this particular project since it telescopes are superb pieces of optical engineering. While we do recognize that kids deserve only the best kind of telescope they could possibly have, they might not really be able to appreciate the rather complex knowledge associated with astronomy. We cannot go for purely telescope toys, either, although we do recognize the need of kids to use their imaginations. So, we decided to strike a balance between the play needs of children and their need for learning. This is the reason why there are real telescopes on our list and there are also toy telescopes that are designed primarily to stimulate the imagination of children during make-believe or pretend play. q: How can these products be called educational when aperture on most is too small to even see far away objects? A telescope with a larger aperture would be more expensive. The point of our product line to make it the most cost-efficient for parents on a budget, while at least opening the door to entertaining an astronomical interest for your child. With at least a 60-70mm aperture, you can see the surface of the moon on a clear night. Once a strong interest is established, then it might be time to upgrade to a more expensive telescope with a larger aperture. q: What should I do when, and if, the tripod breaks? You have two options–you can go out and buy a new telescope or you can buy a replacement tripod. For our inexpensive product line, we suggest that you buy a new metal tripod at the lowest cost possible since you’re not sure how long it will be in use. The best tripod mount is the Alt-Azimuth. At best, even with the upgrade, you’ll have a spare tripod handy in case you need a new variable height or angle. q: What are my options if I want to take pictures with my telescope? The majority of our line are camera-friendly or compatible. The one exception might be the Celestron model. It can be possible with a 70mm telescope using an SLR camera but, this would also require a different tripod mount from what we offer for greater resolution. For astronomical photography, you might want to wait until you invest a more pricey telescope. q: What other tools can I use in addition to telescopes to educate my child in stargazing? At least two of our products come with interactive software accessories that will do the job in addition to the telescope itself! Other than that, I’d say invest in books and magazines. Get the old fashioned National Geographics off the rack in the grocery store or in libraries. Subscribe to science magazines. Watch science shows which can range from the down to earth to the fantastic! And, if you have a really precocious child, they may even benefit from a lecture given at the science museum or local community college. q: What can I do about the occasional blurry image? Sometimes this is due to having the magnification of the scope too high! There’s a tendency in thinking that the higher the magnification, the better the resolution! Not so in most cases! Be patient in your adjustments as sometimes it needs to be just ever so slightly on the object to eventually get a clearer view. Other times, it could just be the angle at which you are approaching the object. Once at least two of those factors are ruled out, then you should look at the quality of the aperture itself. q: Some of these products are “award-winning” and promise in guiding my child toward a STEM field–why should any of this matter to me? Good question! It doesn’t matter! These facts only matter as much as you want them to, and what piques the interest of your child. These are all options that may or may not engage the customer. The fact that some of these products have won parent awards, lends them greater credibility than they might normally have. There might be some truth in the claims! It’s up to you as the customer to see if it lives up to the hype or not.